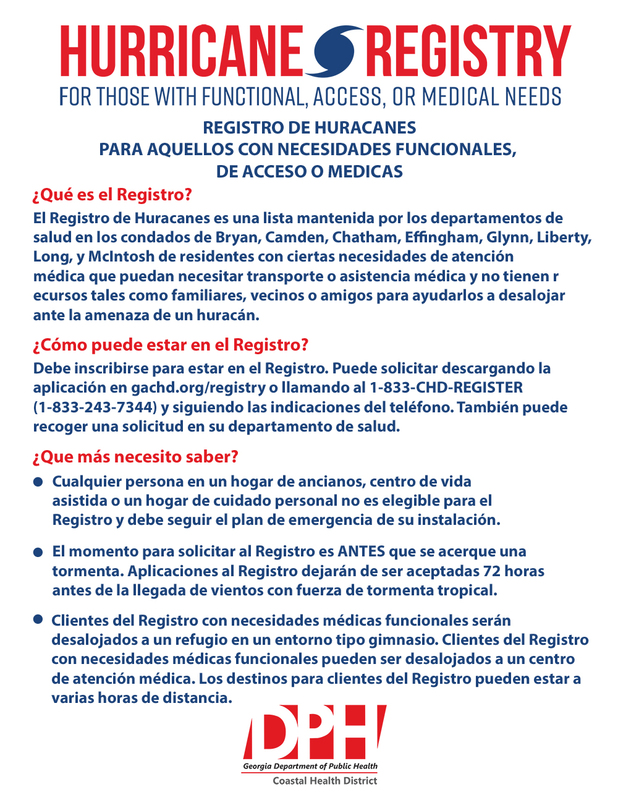 Hurricane season is June 1 through November 30 but the Hurricane Registry for those with functional, access, or medical needs is open all year long. 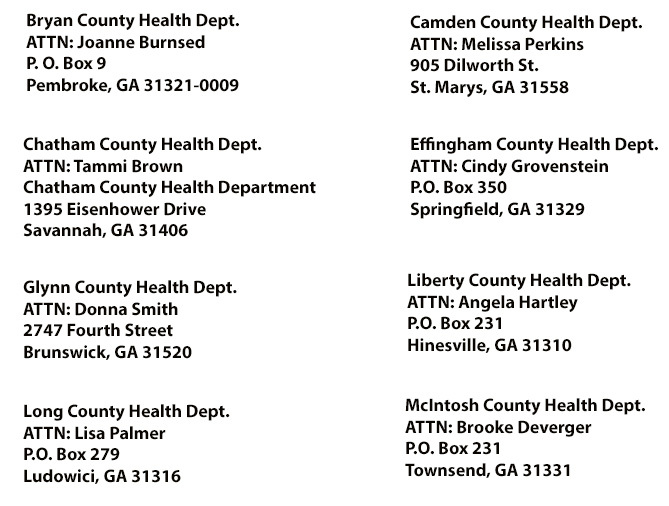 Health department officials encourage residents in Bryan, Camden, Chatham, Effingham, Glynn, Liberty, Long, and McIntosh counties who think they qualify to apply to the Hurricane Registry. Residents should plan ahead and apply to be on the Registry BEFORE a storm is threatening our area. 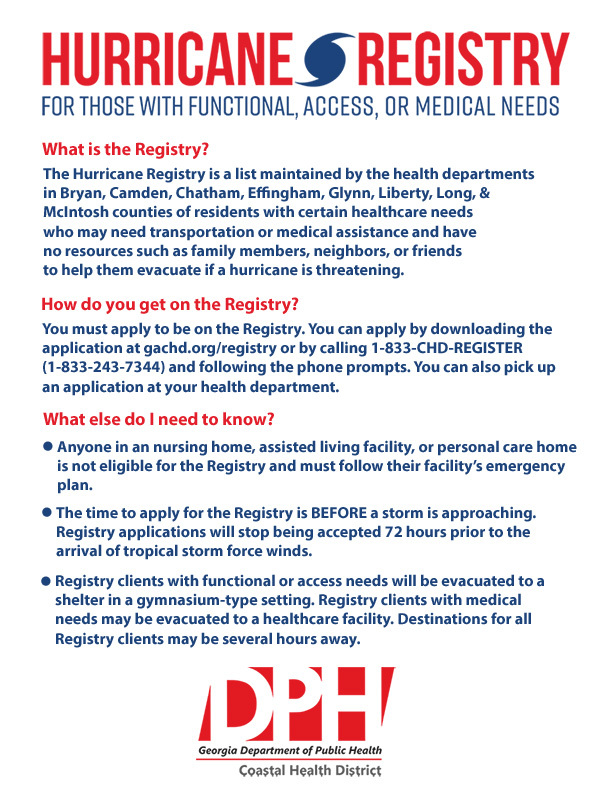 The Hurricane Registry for those with functional, access, or medical needs is a list maintained by the health department of residents who have certain healthcare needs and may need transportation or medical assistance and have no resources such as family members, neighbors, or friends to help them evacuate if a hurricane is threatening. Residents must apply to be on the Registry. Residents who meet criteria and get on the Registry will be evacuated when there is serious threat of a hurricane. To apply, residents can call toll-free, 1-833-CHD-REGISTER (1-833-243-7344) and follow the phone prompts. The application can also be downloaded below. 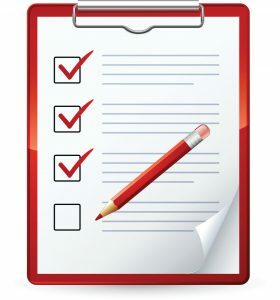 Once completed, the application should be dropped off, faxed or mailed to the county health department.